As many of you know, CAPLINQ has expand­ed their prod­uct offer­ing to extend into renew­able ener­gy. Part of this strat­e­gy includes solar ener­gy, whose tech­nol­o­gy makes great leaps every year. 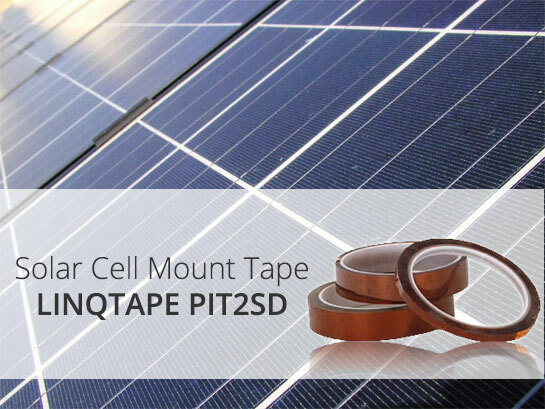 Mount­ing these solar cells requires a mount­ing tape that is has both good adhe­sion as well as high tem­per­a­ture resis­tance. For more infor­ma­tion, you can vis­it the prod­uct page of PIT2SD, con­sult our com­plete list of poly­imide tapes, or you can com­pare our poly­imide films and tapes. Should you have any oth­er ques­tions, please con­tact us or vis­it the CAPLINQ web­site today to find out more, or for more infor­ma­tion.